Helping everyday families achieve financial security through tailored financial advice and planning. Understand every aspect of your financial world. With our financial advice and planning, tackling your financial challenges and reaching your goals is made easy and achievable. Gain a partner who understands the challenges you face. Our team of financial experts are uniquely positioned to help everyday families overcome whatever life throws at them. Ensure you have a practical path towards reaching your goals. We help you make smart decisions along the way to ensure your financial dreams will become your future reality. Make creating your dream financial future achievable. With expert advice just a phone call away, you’ll always have an advisor by your side to make every financial decision easier. Access advice and planning that puts your best interests first. That means the strategies we recommend will always be focused on helping you reach your goals, whatever they may look like. Make sure your financial plan adapts as your life changes. We work with you to continually adjust your plan as your situation changes so you’re always on track to reach your goals. How our financial planning process works. We ensure you are informed and empowered throughout the entire process. Our financial planning process starts with first you asking yourself the vital questions of what it is you want to achieve financially and then making an enquiry. Feel free to tell us a little bit about your situation, any challenges you experience day to day or merely where’d you like to be. Upon receiving your enquiry and information, we then move to the next step in the planning process. Following up from your enquiry, one of our financial advisors will call to simply introduce themselves and vice versa. If we believe we can help, we make a plan to meet face to face. We will first ask for a brief snapshot of your current financial situation. These will include things like your income, superannuation figures, assets, (big or small), and importantly your goals. Upon collecting this information we begin work in assessing how we can best achieve your goals, drafting a plan on what tools and investment strategies will work best. All of which leads to our first in-person meeting. Feel free to tell us a little bit about your situation, any challenges you experience day to day or merely where’d you like to be. Upon receiving your enquiry and information, we then move to the next step in the planning process. This is where the planning process really kicks off. Upon learning more about your situation, our directors will ensure you feel comfortable enough to discuss financial related matters. Our advisors pride themselves on their ability to listen and hear what you have to say first and foremost, absorbing all important variables beyond just finance. These are the moments where we begin to break things down and highlight strategies and options that can form part of your overall financial plan to help deliver your goals. This phase is different for everyone and subsequently, is done in a manner that ensures all factors are covered and included. 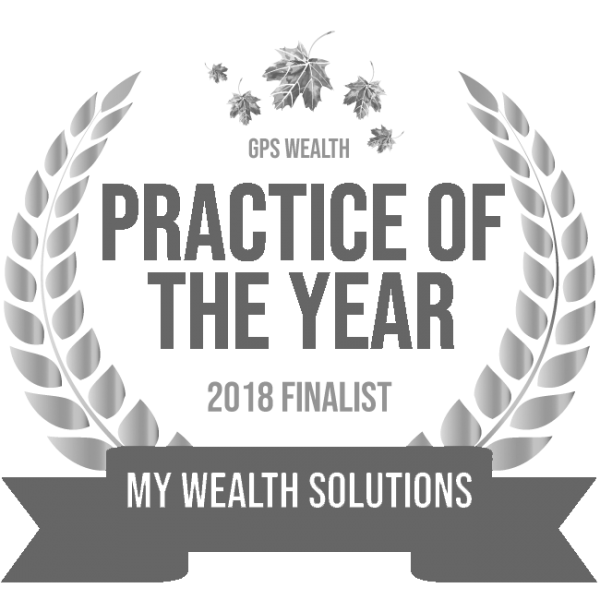 It’s here you will see the elaborate and innovative understanding of financial planning we can provide, and will walk away with more knowledge and information about how to best move to the next stage. This is where we begin working on the finer elements of your financial plan. We call upon our extensive years of experience and skill in finance, leveraging all relevant investment avenues and legislative offsets to craft a plan that is both secure and lucrative. We research, investigate and take all necessary steps to ensure we are minimising risk and optimising growth, formulating a thoroughly tailored financial plan. We do this over a period of roughly three weeks. Why? We allocate time for the necessities that are a part of all plans. However, we allow extra time to ensure all decisions made are the best for you and your financial future. If we have any concerns or feel the need to improve anything, we have enough time execute such, before we present our plan to you. It also allows us to follow up on any extra details we might need. After examining every detail we then present our plan to you in person. This where we really come into our own at My Wealth Solutions. We explain all components of our plans in the simplest and most digestible manner. This keeps you informed every step of the way and helps instil a sense of comfort as we elaborate further into your plan and financial strategy. After the presentation, we’re open ears to any feedback you may have. We’re fortunate enough to boast enough experience to modify where possible to meet your needs and quickly. At My Wealth Solutions, we’re confident in our ability to propose financial planning that is cutting edge and industry leading. We understand the sensitivity and importance of your personal finances, and as such provide you with the necessary space and time required to make your decision or the need to make changes. If you’re confident in our proposal and want to invest in our plan, we then move toward the preliminary stages of implementation. This takes time for things to immediately kick in. There’s a bit of paperwork and so forth, all necessary to adhere to the legalities and to make sure everything is checked and double checked. It takes roughly 1 to 2 months before all elements of your financial plan are underway. By investing in a financial plan at My Wealth Solutions, you can be confident that all risk mitigation parameters have been endorsed. As your portfolio develops, we will keep in contact to inform you of any adjustments or decisions, as well as opportunities we believe are fitting of your finances. Hear from just some of our clients and their experience with us. “Ben has helped me invest my money well and I’ve now paid a lot off my house!" "Our business was starting to grow and we didn’t have a plan for how to use our money." The team are extremely professional and helpful. Ben has taught me so much already and now I feel like real wealth creation is the reality of my future rather than something that I’m just hoping for. Emily has always gone over and above to make everything really easy for us as well as answering any questions we might have quickly and efficiently. I have and will continue to recommend MWS to any of my friends or family. My experience with My Wealth Solutions has been positive from the beginning. Ben answered my many questions and took the time to discuss any concerns in detail to clarify any grey areas. I’m very happy with MWS and look forward to a long association with them. I would recommend My Wealth Solutions to anyone looking for excellent financial advice/planning. Ben and the team at My Wealth Solutions have been incredible to work with. They discussed our financial situation and proposed ways to improve our position in an easy but professional manner that left us feeling very secure about the future. Timely responses to our questions and keeping us up to date on changes and progress only enhanced the feeling of trust we had with them. Thoroughly recommend the team if you are looking for sound financial assistance.